I love altered book projects. There are so many that are pretty and inspiring. 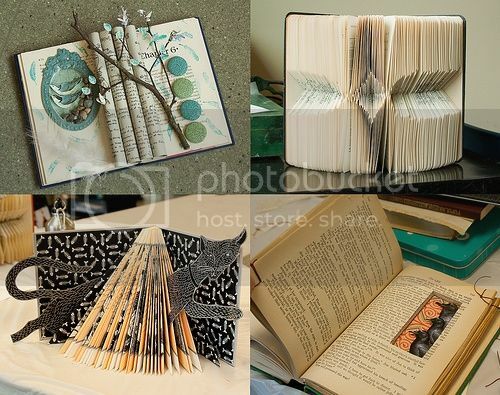 I'd love to do a craft project for teens at my library using some discarded/damaged books to make something like these, but I don't know if members of the public would have the heart for it. So many people hate to see a book "defaced" or feel guilty for reusing or recycling a book in any way. 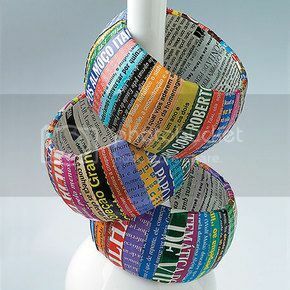 Have you ever done a recycled book project? How did it go?